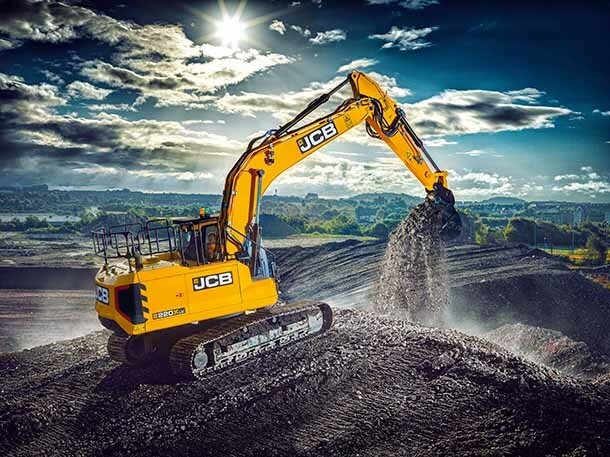 JCB launched 3 new excavators for spring 2018. 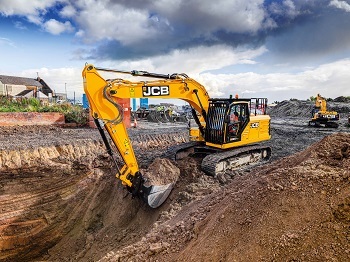 The manufacturer has developped a new range of track excavators, a new model of mini-excavator and finally its first electric mini-excavator : the JCB 19C-1. Four years are necessary to create and test this new track excavator range, the JCB 220X SERIES. The manufacturer has tried its best to offer efficient, reliable and performing machines but favours the driver's comfort. Thus, the engineers have reworked the cab, which became more spacious (15% more than the previous generation) and has a better protection against outside noises. The ergonomy has been greatly improved as well as the chassis (200 mm wider), the boom (more precise and resistant) and the side bonnets. 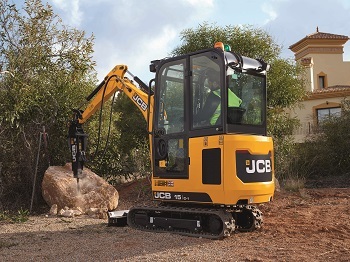 This is the 14th model from the latest generation of JCB mini-excavator. This JCB 15C-1 has nothing to to be ashamed of compared to other mini and midi excavators. Indeed, it has an engine developping 15,9 hp (11,7 kW), a steel bodywork for a 1.5t weight. JCB announced a simple maintenance for controlled costs. 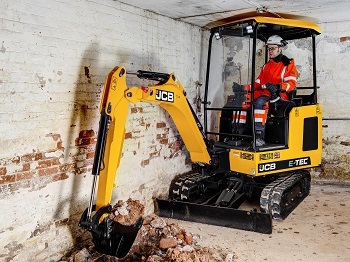 First electric model by JCB, this mini-excavator is made for urban use. Indeed, the JCB 19C-1 is very quiet (7dBA, 5 times less noise than the previoous Diesel model) and doesn't produce much polluting emissions. It is still very efficient thanks to the optimisation system of the battery and the fast charging system (100 % in 2h30).